Sam Howard has jump-started an organization aimed at attracting industry and employers to Northeast Kentucky, a dream he had before contracting an illness that paralyzed his body. Howard, a lifelong Lewis County resident, was the founder of Trace Creek Construction, a successful local contractor and remains as its CEO. “Rural Kentucky is a diamond in plain view but still hidden from site. I have decided to help fix that problem in Northeast Kentucky,” Howard said. 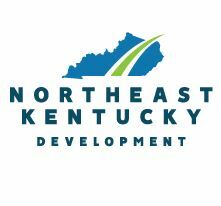 Northeast Kentucky Development (NEKD) is an organization that aims to attract new businesses into the 12 county region and will serve as a valuable player for the region’s economic development, Howard promises. Lewis County is at the heart of NEKD’s geographic area. He said the organization will highlight available sites, buildings, and resources available for new and expanding industry into the area, primarily in aerospace and automotive. Howard will serve as managing principal of NEKD and says he started the organization to provide the region with a voice. “Counties within the region are typical of rural Kentucky. We have an abundant availability of land at a reasonable cost,” Howard stated. “We have a workforce that is ready and willing to work. We have a world-class university (Morehead State) and the best community and technology system in the United States,” he added. “It is time the world found out about Northeast Kentucky. We intend to make that happen,” Howard stated. Howard said he had the idea for NEKD before contracting Guillain-Barré syndrome (GBS) more than two years ago. “I thought at that time I was too busy with (Trace Creek Construction),” Howard said. “Two plus years later the construction company has had two of the three best years of our 25-year history,” he said. “I have been inside the construction company office less than 25 times since contracting GBS. I think God has shown me what I need to do and I am doing it,” he said. 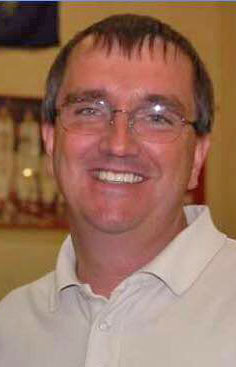 “I will be managing Northeast Kentucky Development,” Howard stated. “Trace Creek Construction has been overseen by company president David West and CFO Harlan Lee,” he said. They will continue their respective roles within the company. The NEKD area will stretch from Pendleton County on the Ohio River in the west to Greenup County on the Ohio River in the East. It will also follow I-64 from Greenup, to Carter, Rowan and Bath County in the West. From Bath County, it will encompass Nicholas and Harrison County back to Pendleton. The remainder of the region will consist of all counties in the Buffalo Trace Area Development District (Bracken, Roberson, Fleming, Mason and Lewis). The length of the AA Highway will be represented from Northern Kentucky to the Ohio River at Greenup County and I-64 at Carter County, Howard said. “It is our intent to change the designation of the AA Highway,” he said. The name of the roadway, AA, came from the initial endpoints of the roadway, Alexandria and Ashland. “By attracting companies to our region, the AA Highway will come to be known as the Automotive and Aerospace Highway,” Howard said. Those types of manufacturers are being targeted as a result of Braidy Industries locating an aluminum mill in Greenup County. By combining the 12 counties into one region, NEKD will be promoting a diverse region, Howard said. The organization will work with local economic development boards to develop build-ready sites, he said. “We are ready to move our region and all of Kentucky, forward. We will show the world what Kentucky is all about,” Howard stated. “The region offers two critical elements required by manufacturers. Developed and developable land is available along with willing available employees,” he said. NEKD is a privately funded company formed to promote economic development in the region. “We will immediately begin contacting site selectors and expanding companies to enlighten them about our region,” Howard stated. “Our immediate focus will be on the automotive and aerospace industry that is already well established in Kentucky. As we develop insight into other industries that are a good fit for our region we will explore those industries as well,” he added. Howard is continuing his recovery from GBS, the rare disorder in which the body’s immune system attacks part of the peripheral nervous system. His body was completely paralyzed at the time of his diagnosis on April 19, 2016, and his breathing was through the efforts of a machine. Howard spent nearly a year in hospitals and a rehabilitation center. Through continued rehabilitation, he was able to take a few steps with the aid of a walker on Father’s Day at the home of his parents.